Stop WestConnex. Invest in great public transport. Solar our community. 100% renewable energy future. Planning for people not profits. Protect and expand Community services – Develop new community spaces. More and safer Footpaths and Cycleways. Reduce Parking meter fees by 25%. Turn meters off at 7pm. Retain 30min free. 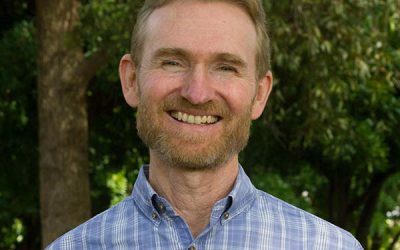 Tom is a lawyer for social justice: his research and practice has focused on unlawful detention of refugees, LGBTQI rights, disability rights and personal injury compensation. Tom attended high school in the Inner West and has lived with his partner in Ashfield for six years. 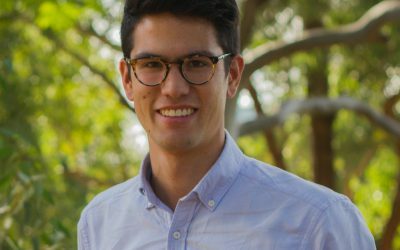 Since being the youngest person elected to the Inner West Council in 2017, Tom has been an active community representative for the Ashfield ward, supporting the Greenway project, the Ashfield Pool upgrade and much needed work to Ashfield town centre. In Dulwich Hill, Tom joined the successful community plan to stop state government led planning disaster around the train station. Tom has consistently championed community-focused progressive causes on Council. He has brought the perspective of a young renter to the issue of housing affordability, pushing wherever possible for Council to make developers include public affordable housing in new developments. Tom successfully supported Council to commit to becoming carbon neutral, and to supporting members of the Inner West community to ease their cost of living by investing in solar on their own homes. Rochelle Porteous has a track record as a strong, principled, effective and accountable Councillor and Mayor of Leichhardt. Rochelle gets in and takes action when something is wrong. Whether it is campaigning to stop high rise development on the Balmain Tigers’ site; fighting to save Callan Park; achieving carbon neutrality for council or developing a supported asylum seeker project she achieves outcomes. Rochelle is a leader in the campaign to stop WestConnex and in the campaign against forced council amalgamations. She currently works as an advocacy campaigner for a disability peak organisation. Previously she has run a women’s refuge and worked in social justice, political and environmental campaigner roles. She has also been a teacher, a trainer and run small businesses. Stop WestConnex and the Western Harbour Tunnel. Protect the community. Great public transport. Reduce parking meter fees by 25%. Meters off at 7pm. Retain 30 min free. $40 million additional funding to extend and make safer our cycleways and footpaths. Deliver the Greenway. Stop public bus services from being privatised. End Cruise Ship pollution with shore to ship power. Stop overdevelopment and restore local planning powers to the community. Restore local democracy with a binding plebiscite. Reinstate resident precinct meetings. Protect Callan Park, get the Masterplan implemented and he Trust established. Solar our community. A 100% renewable energy future for council and the community. Colin moved to Marrickville in 1985, and is passionate about the community. He served a term as a Councillor on Marrickville Council between 2004 to 2008. On Council he was instrumental in ensuring Council restarted its apprenticeship scheme; creating job opportunities for local young people, actively campaigned for the new public pools in Enmore and Petersham, and incorporating accessibility for people with disabilities into Council’s planning protocols. Colin is also a member of Marrickville Heritage Society and Wolli Creek Preservation Society, an opponent of the WestConnex project, and a long time campaigner for public transport. Colin is a volunteer presenter of a local government focused community radio program on Thursday mornings on Radio Skid Row 88.9FM. He works in foster care, is a union member, an active supporter of live music, and a justice of the peace. Marghanita da Cruz is working to build a community with good footpaths to public transport, community centres and green spaces. Facilities to help us lead active lives. An environment in which we look after our waterways, and harness energy from the sun and wind. Born in Kenya, Marghanita migrated to Australia with her family in 1970. She was soon playing and coaching junior sports. 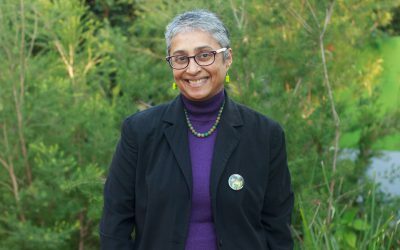 Moving to the Inner West in 1993, Marghanita is an advocate for footpaths, public transport, green spaces and sustainable development. She volunteers with the Rozelle Bay Community Native Nursery, was an active member of Leichhardt Council’s Heritage Committee and Climate Change Task Force, where she advocated for LED lighting and Solar Panels. Marghanita is a small business person who has assisted government, corporate, small and community enterprises with their adoption of information and communication technology. She has curated exhibitions at the local shops, library and Footprints ecoFestival. She also researches local history and presents it as short walks. Marghanita practices yoga and is an avid golfer. I’m a long term resident of Stanmore Ward. I’m a dedicated community activist with a proven track record, keen to make our community a better place. I’m committed to finding beneficial solutions to the affordable housing problem in the Inner West, preserving our local green spaces, and protecting our community against the destructive Westconnex toll road project. As an artist and performance poet, I mentor young artists, curate exhibitions and performance events at local art spaces. I am passionate about promoting artistic opportunities, our lively nighttime culture, and keeping the local community vibrant. Housing should be a human right, not a commodity, even in the Inner West. We are seeing developers cash in on huge developments that don’t include a single apartment that meets the definition of affordable housing – where rent or mortgage repayments are less than 30% of the median household income. Greens councillors have pushed for Council to commit to a 30% affordable housing target for private developments, and a 50% target for developments on public land, as well as an vacant homes levy so that Council can recover additional rates when investment properties are left empty. Unfortunately these progressive initiatives have been blocked by Liberal and Labor councillors. However the Greens have had some wins: we have successfully pushed for the maximum amount of public affordable housing in new developments all across the Inner West. In the development of the new Local Environment Plan, we will seek to secure an affordable housing contribution plan for the whole Inner West, to ensure developers are contributing public affordable housing wherever they go. We have also secured Council’s commitment to developing a Boarding Houses policy that focuses on the safety and wellbeing of boarders and addresses the exorbitant rent many are charged. At every level of government the Greens are committed to housing for people, not profit. To find out more about the Greens’ proposal to tackle the housing crisis, check out our Homes For All campaign. The Greens will build links to ensure our local cycleways and footpaths connect us to our schools, shops, parks, train and light rail stations, libraries and community centres. We will make cycling and walking safer with more dedicated cycleways and well-maintained footpaths and we will deliver the Greenway which will connect Cooks River right through to the Bays Run and Iron Cove Bridge. In addition to the Greenway, we will ensure council spends at least an extra $40 million over 4 years on extending and making safer our cycleways and footpaths. The Greens are committed to achieving the reopening of the Glebe Island Bridge for cyclists and pedestrians. All three Councils – Leichhardt, Ashfield and Marrickville delivered a wide range of quality services to their local communities. It is important that these services are not only retained but where need expanded and that good practice from one council is adopted by the other council areas. Examples of just some of these services includes: local libraries, council swimming pools and fitness centres, child care services such as family day care, long day care and occasional day care services, sporting facilities and playing fields, community facilities, services to seniors and young people, waste collection, looking after our parks and playgrounds, maintaining our street trees and caring for our natural environment, mowing the grass verges and running our local cultural and arts programs. Invest at least $20 million in developing new community, cultural, youth, senior and green spaces – to be owned and run by the community. Protect all council services from the 3 councils and expand them where needed. Oppose any sell off of council facilities or closure of any council facilities. Adopt best practice with delivery of all council services. The Greens are committed to acting on climate change and transitioning to a clean energy future. In 2008, Greens Councillors committed to making Leichhardt Council carbon neutral in four years – this was achieved in 2012 and Leichhardt Council became the second council in NSW to be certified carbon neutral. Now The Greens plan to make all three Councils carbon neutral by 2020. Not only will The Greens make the Inner West Council carbon neutral; the Greens will Solar Our Community with initiatives to enable everyone who wants it to have rooftop solar on their homes and the develop urban solar farms. Employment of top consultants to provide specialist advice on issues such as traffic modelling. Air pollution, tunnel engineering and an updated cost-benefit analysis. Investigation of all potential legal challenges and monitored compliance. All information immediately put in the public realm. No secrets. Support for a council funded campaign against WestConnex. Support for groups campaigning against WestConnex. Strong advocacy against WestConnex and its impacts on the Inner West. Protecting the health and well-being of inner West residents – no unfiltered pollution stacks, no WestConnex. A fully connected public transport network. New light rail routes to Balmain, White Bay and Parramatta Road. More frequent buses and no privatisation of our buses. Extend heavy rail, more frequent and better integrated services. Stop the privatisation of the Bankstown train line. No removal of rail tracks in the Rozelle Goods Yard or White Bay. Expand and make safer cycleways and footpaths. Greens on Inner West Council are committed to addressing our climate emergency – an emergency that is already hitting the Inner West with damage to the low-lying Dawn Fraser pools, more damaging floods in Marrickville, and higher power bills for everyone. The Greens team ensured that one of Council’s first acts was to commit to becoming carbon neutral and supporting the community to increase access to renewables. As a result, Council is replacing all streetlights with safer and more efficient LED bulbs, and will install solar panels on every available Council roof. The Greens also secured Council’s commitment to supply 25% of its electricity needs from renewables (although the Greens push for 50% was blocked by Labor and Liberal councillors). Due to the rising cost of coal, all these initiatives are saving Council money. Greens councillors also support Council to assist the community in a rapid transition to renewables. We want to see Council help residents invest in solar panels in a way that will immediately reduce their power bills. We are championing the Solar Savers model that has saved thousands of residents in Darebin Council $100s per year, while tackling climate change.